What exactly does that mean … “pure bred versus well bred”? In my many years of involvement with rescue, I’ve had countless “pure bred” Apsos with “papers.” Papers being a document saying the dog was registered with the AKC (or any of the other questionable registries which have sprung up to circumvent AKC’s DNA requirements). However, having “papers” in hand does not mean the dogs in question were “well bred.” “Well bred” meaning they had the qualities and characteristics that make an Apso “an Apso” … a dog possessing breed type. 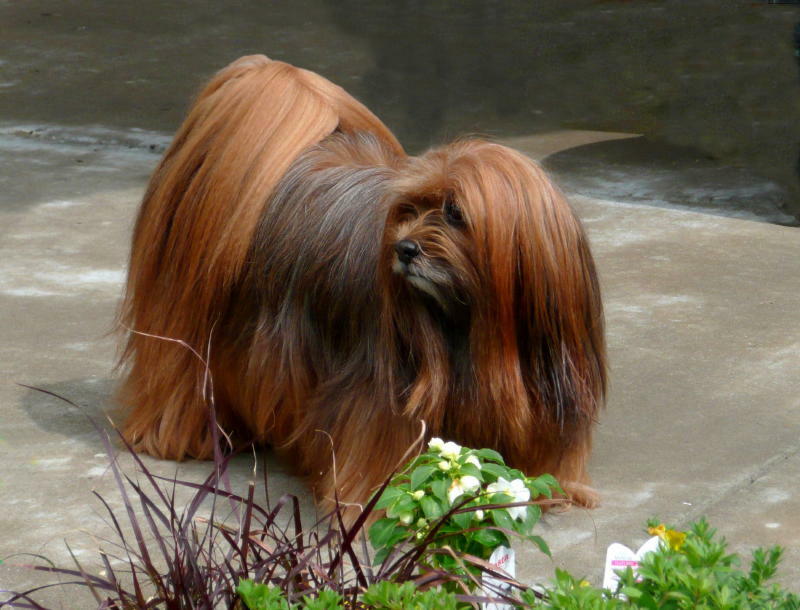 “Well bred” meaning the breeder strived to produce a dog that could, on any given day, survive at altitude in its native homeland of Tibet (this link contains an excellent article on what makes a Lhasa Apso). “Well bred” meaning the breeder could document at least five generations of dogs and the health of those dogs. Dogs whose pedigrees reflect a multitude of champion relatives — not just one or two champions in five generations. Dogs whose breeders stand behind what they produce for the life of the dog. Next question is … where does one find a well-bred dog? Certainly not from a pet store as supplied by the puppy mills. 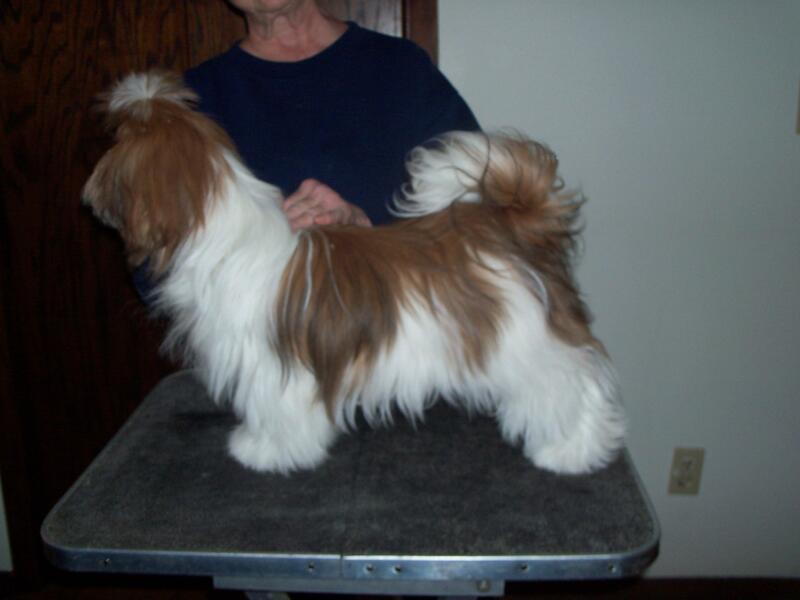 Or a “backyard” breeder (“BYB”) who has thrown a couple of dogs together for a quick profit. 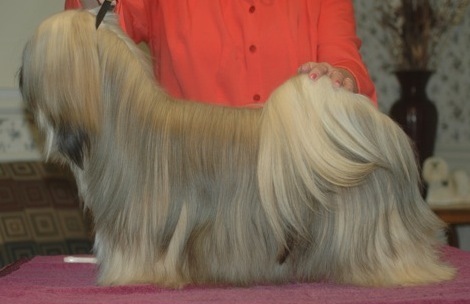 Despite the broad brush used by the animal rights movement to paint all breeders, the majority of show (hobby) breeders strive to produce sound, healthy dogs. Hobby breeders cannot keep every dog they breed and maintain a breeding line — much like rescue can’t keep every dog that arrives in foster care. 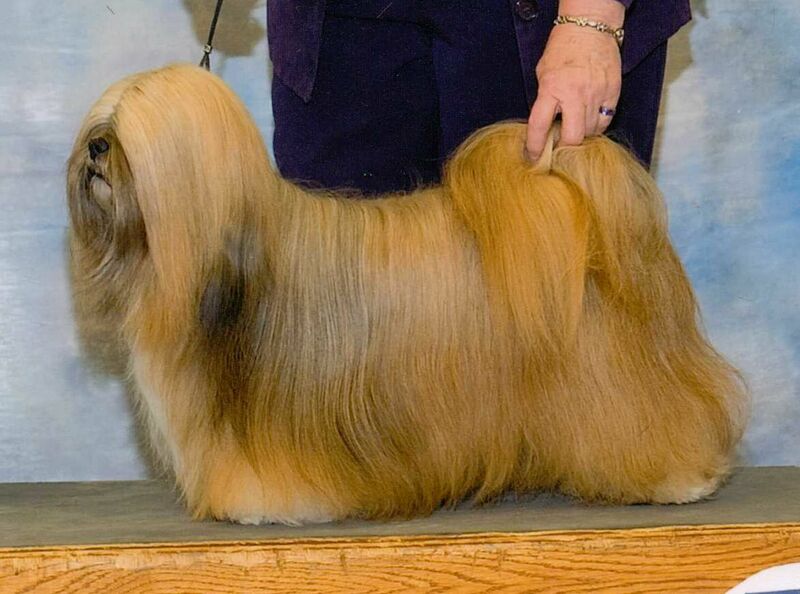 These breeders often have retired champions, young adult show prospects that didn’t turn out as well as anticipated, or pet-quality puppies available for placement … well-bred dogs that need homes of their own. And for much less than what you’d pay for a puppy produced in the mills and sold by a pet store. Always an advocate for rescue, I also believe in providing prospective families with options other than the petstore or BYBs. A sad fact is 100% of my rescues have come from either pet stores or backyard breeders. So even though one is obtaining a “rescue,” they were produced for profit with little thought given to their health and breed type. Remind your family and friends what breeding does: Every kitten or puppy born is a death sentence to a shelter cat or dog waiting to be adopted. As a responsible owner and long-time rescue volunteer … I take an exception to the above statement. If not for the responsible, ethical breeders, good representations of my chosen breed would have vanished into the mists of the Himalayan mountains decades upon decades ago. 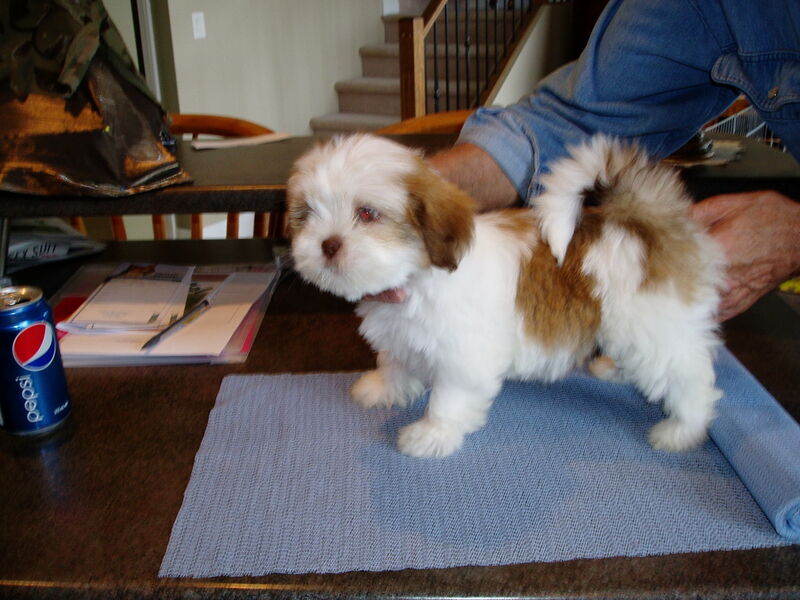 It is only through the work of quality breeders that the Lhasa Apso has survived a forced flight into Nepal, Bhutan and India as well several genetic bottle necks and the invasion of the Chinese into Tibet. I have more than done my part when it comes to rescue. However, it is not by any of my actions that there are dogs and cats in shelters. Now, I am supposed to give up the breed I love … and have worked tirelessly for … because someone else was irresponsible? That *all* breeding is bad and my only option is to accept what is coming out of the mills? That my only choice is an ill-bred dog with a myriad of health problems? Seriously?? Perhaps if the statement had made mention of “puppy mills,” it would go a bit further in educating the public. Following is listing of well-bred dogs looking for homes of their own. While these dogs are located in the western half of the US (or Canada), they can be flown to a new home. In many instances, dogs can travel to other areas with exhibitors headed to shows. Depending on location, a road trip may be in order. Don’t like the full coat? No problem … Apsos can also be kept clipped in a “wash-n-wear” version. Vinnie: retired champion, on the larger size, about six-years old. Very loving dog; great with adults, never been around children; teens would be okay. Needy in that he wants to be right with you on the couch, etc. Would need to be neutered. Located in New Mexico. Zach: retired champion, almost two-years old. Still in full coat. Quite loving and a lap dog; enjoys sitting in the recliner with my husband and will do so for hours. A real people dog. Needs a home where he is an only dog or could live with a female dog. Located in Wisconsin. Big Boy — He was 1 year on Aug. 30. I gave him a haircut yesterday; he has a wonderful coat. His markings aren’t as red as his brothers. I don’t think that he will be hard to housetrain as it was going good until I got sick. The brother didn’t have any accidents. He is very playful, gets along good with other dogs and kids. He is very sweet!!! Located in Minnesota. Oreo and Ready — retired champions (4-5 years old). Fully housetrained, would be spayed/neutered prior to placement. Oreo is very outgoing, wags her tail at everyone, never met a stranger. Ready is more of a “got-to-get-to-know-you” type; probably do best in a home with no other males. Located in Utah. If interested in any of these dogs, please contact me directly at: ApsoRescue@aol.com. Serious inquiries only … the breeders of these dogs are looking for owners that will commit for the life of the Apso.